I have to underline the diversity of winers. 14 weight categories and 14 different countries won gold. This is fantastic and it shows that judo is strong everywhere. I can also say that this weekend the strict application of the judogi rule worked perfectly. Athletes have to be careful to have their judogi always adjusted. It offers more opportunity to throw to your opponent, but also to you. It's a win win situation and ultimately, it's a win for judo. Of course there are always countries that are not really paying attention when the rules are explained and when they are penalized, they look surprised, but over the weekend we had very few cases and I think that in the future, people will never ever question the fact that the judogi needs to be properly worn, which is logical. I have also noticed that over the whole weekend, the competitors were fighting until the end, believing until the last second that they could win, even if there were behind. I like that spirit. We had many cases with athletes with one waza-ari to their name who continued to look for the second waza-ari or the ippon. This is how it should be. We also had those ones who were behind on the scoreboard but kept pushing to win. We had those many cases, also when someone would score a waza-ari almost immediately but instead of trying the control and to play with tactics, they would continue to attack. I was quite impressed by the quality of transition between tachi-waza and ne-waza, both from tori and uke. Thus, it is not because you are thrown for waza-ari, that you have lost the match and you can immediately conclude on the floor and win. Once again this shows the fighting spirit that we like. -48kg: Distria Krasniqi showed that she has a clear mental advantage over her opponent. She is very strong and demonstrates the incredible talent of the Kosovo team. 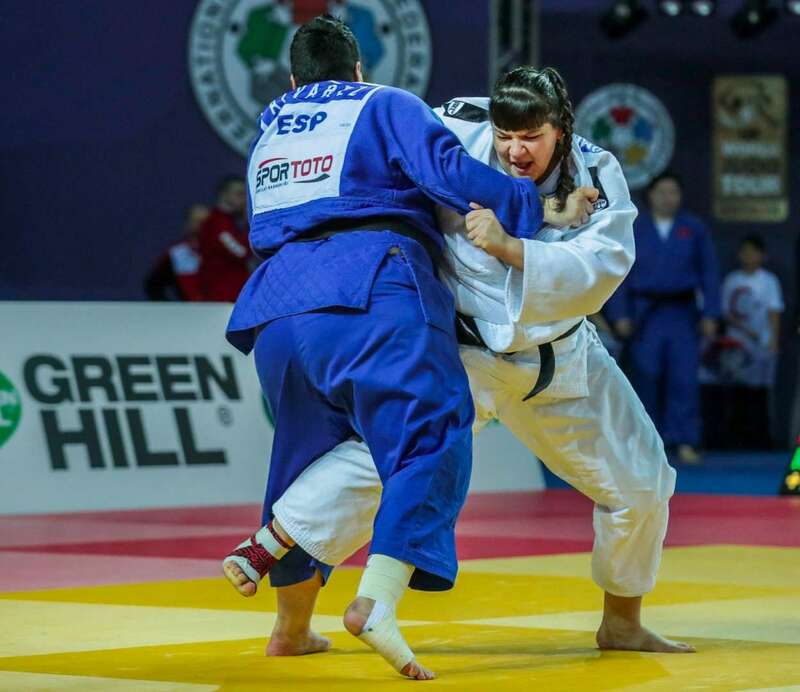 -52kg: Coming back from an injury, Andreea Chitu (ROU) was well motivated and she looked unbeatable here in Antalya. -57kg: The very hard-working Polish judoka, Julia Kowalczyk, went through the preliminaries and the final block to achieve a beautiful result. -63kg: Cuba’s Maylin Del Toro Carvajal, who already performed well a week ago in Georgia, winning the bronze medal, did even better here, even if she was obviously and logically tired. -70kg: Elisavet Teltsidou of Greece showed her amazing capacity to throw with hip movements. What a powerful woman! -78kg: After the national duel between the two Germans, Luise Malzhan and Anna Maria Wagner, it was the latter that showed the most fighting spirit to go get the gold. +78kg: Iryna Kindzerska (AZE) demonstrated that in the women's heavyweight division, ippon is definitely the way the win medals. -60kg: Yeldos Smetov (KAZ) was World Champion in 2017. On the first day of competition he clearly showed that he was the best despite the really talented group of athletes that were present in Turkey. -66kg: Denis Vieru (MDA) is starting to be known in the international circuit, especially with such a performance. But he is still young and very promising. His level seems to increase at every event. -73kg: An Changrin (KOR) was so calm, so accurate, so determined. Nothing could disturb him. This was beautiful to watch. 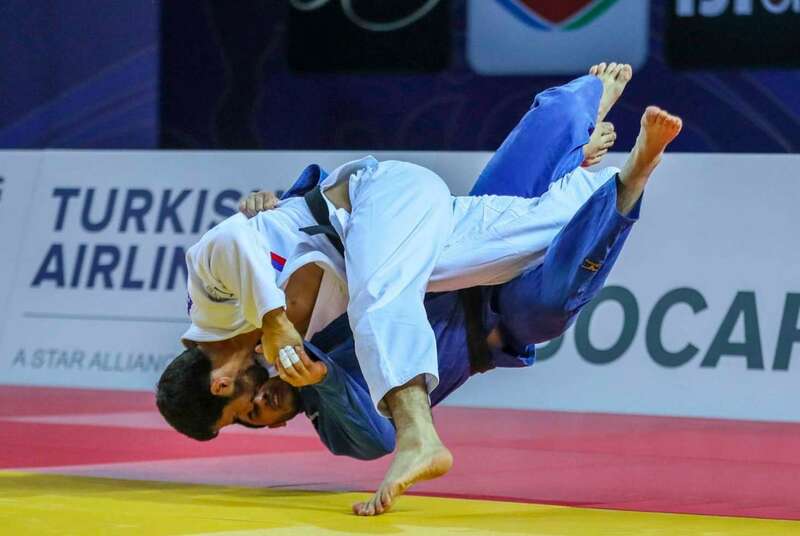 -81kg: In a category where the opposition is very strong in Georgia, Luka Maisuradze is fighting for survival and did it perfectly well in Antalya. -90kg: Mikail Ozerler (TUR) won the gold medal that the whole public was expecting. But more than that, he is an open athlete who can adapt to many situations, being able to win in regular time or golden score. That's a good sign for the future of judo in the country. -100kg: Alexandre Iddir (FRA), what a beautiful athlete, showing the beauty of judo, even when he's not scoring. But he also showed that even in golden score, it's possible to score ippon. +100kg: Roy Meyer of the Netherlands has an amazing fighting spirit and with it he showed that everyone can overcome talented judoka and big names. Congratulations!